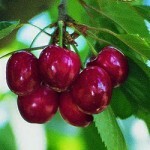 Two main types of cherries are produced in the United States: sweet cherries and tart or ‘sour’ cherries. 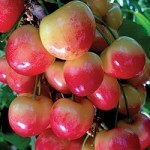 Washington, California and Oregon are the primary sweet cherry producing states, accounting for more than 97 percent of the quantity produced nationwide (NASS 2013). 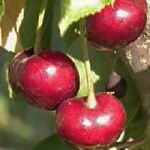 The primary tart cherry producing state is Michigan, which typically accounts for nearly 90 percent of tart cherry production. 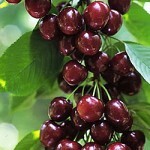 U.S. sweet cherry production in 2012 totaled 424,000 tons valued at more than $843.3 million. 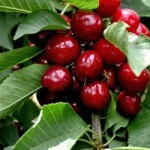 Washington led the nation in sweet cherry production, with 264,000 tons, followed by California (92,300 tons) and Oregon (56,000 tons) (NASS 2013). 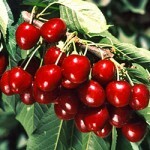 The United States is the third-largest producer of cherries in the world. 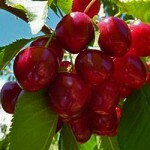 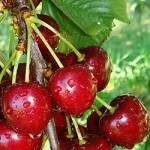 The European Union-27 is the leading cherry producer, followed by Turkey (FAS 2012). 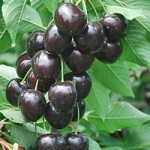 “Bing” has been one of the most important sweet cherry varieties grown in the Pacific Northwest as recently as the 1990’s. 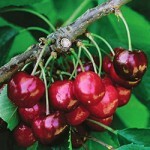 “Bing” is so commonly known that it is used as a basis of comparison when discussing sweet cherry selections. 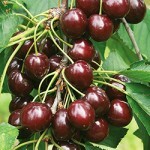 For example, ripening time for a variety may be referred to as being a set number of days before or after “Bing”. 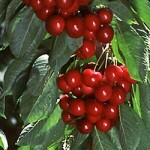 In recent years, there has been more interest in improved varieties leading to extensive plantings of newer selections. 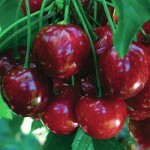 Some traits that breeders are selecting for include early maturing, self-fertility, rain cracking resistance and stem characteristics. 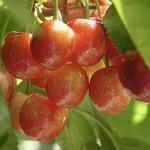 The majority of the newer varieties grown in the Pacific Northwest were produced or evaluated by the following breeding programs: WSU-IAREC – Prosser; the Pacific Agri-Food Research Centre (PARC) Summerland, B.C., Canada; and the OSU cultivar evaluation program. 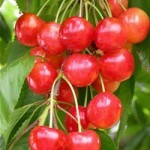 Additional sweet cherry variety and/or rootstock trials are carried out at WSU’s Western Washington Maritime Research and Extension Center in Mt. 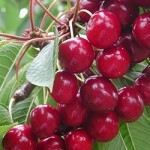 Vernon, WA and at WSU Tree Fruit Research and Extension Center in Wenatchee, WA and at their associated Sunrise research orchard. 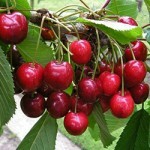 A few other sweet cherry varieties grown in lesser amounts are a product of the New York State Agricultural Research Station at Geneva, NY and from Michigan State University’s breeding program. 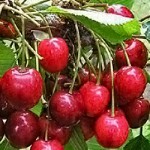 The most commonly grown sweet cherry varieties in the Pacific Northwest are shown below in the thumbnail gallery and are arranged by color group. 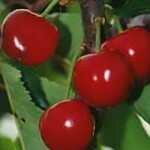 Click on the image to open the full view for information about each variety.